user warning: Expression #1 of ORDER BY clause is not in SELECT list, references column 'hotkilns_live.n.created' which is not in SELECT list; this is incompatible with DISTINCT query: SELECT DISTINCT n.nid, n.vid, n.title FROM content_field_videos_features nr INNER JOIN node n ON n.vid = nr.vid AND n.status = 1 INNER JOIN node_access na ON na.nid = n.nid WHERE (na.grant_view >= 1 AND ((na.gid = 0 AND na.realm = 'all') OR (na.gid = 0 AND na.realm = 'content_access_author') OR (na.gid = 1 AND na.realm = 'content_access_rid'))) AND ( nr.field_videos_features_nid = 256 )ORDER BY n.created DESC in /home/hotkilns/public_html/sites/all/modules/nodereferrer/nodereferrer.module on line 428. It attaches to the top section only. 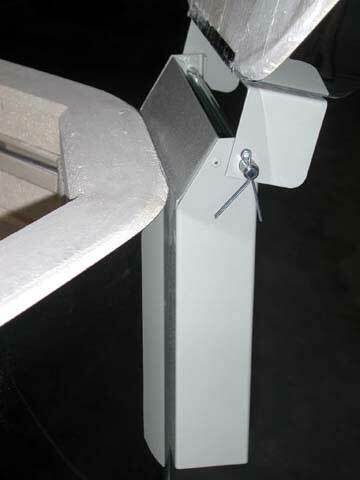 The hinge bar is a heavy 3/8" diameter machined stainless steel rod. It is securely fastened on with cotter pins. The lid is held in the up position with two side mounted chains. 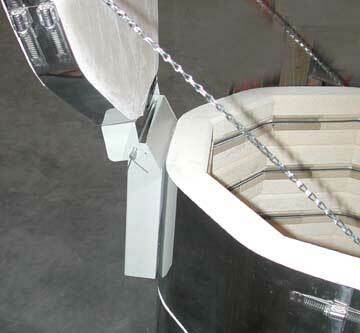 In addition, for the 8-sided kilns, there is a safety chain which is meant to be attached to a wall. This is to prevent the lid from falling accidentally. 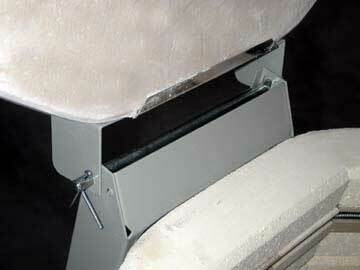 The hinge is powder coated for corrosion resistance. We use this hinge on Doll kilns, Liberty-Belle and small Easy-Fire and Jupiter Kilns (8-sided models such as the e18S, e18T, e18S-3, e18T-3) and similar 8-sided models in the Jupiter line. 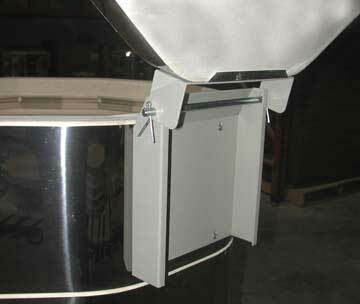 The Fuego kilns have a similar hinge but it is integrated into the control panel because of the lid switch.